Interested in supporting the Warriors? Keep your Michigan Warriors on the ice! The MWHP is a 501(c)(3) certified nonprofit organization. 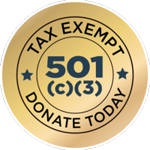 All donations are tax-exempt and go towards funding the Warriors. Donations are used to purchase up-to-date hockey equipment for Disabled Veterans, ice time at local rinks, and reaching Veterans outside of Metro-Detroit and expand the MWHP. Please support our mission and a Disabled Veteran by donating through PayPal below!